In the Gospel of Luke, we hear the angel's timeless proclamation to Mary, "Rejoice, highly favored one, the Lord is with you; blessed are you among women" (Luke 1:28). Every generation of Christians must contemplate these angelic words, for Mary is the Theotokos and Mother of Our Lord. Through its worship services, the Church gives us many opportunities to consider the place of the Mother of Jesus Christ in our lives. The beautiful Paraclesis service, sung every day during the Virgin's Lent, offers the perfect vehicle to do just that. 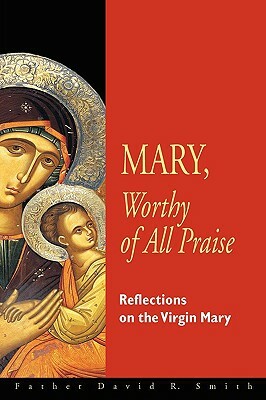 Sung from the first to the fifteenth of August, and at other times of illness and distress, the Paraclesis is a supplicatory song, a canon of praise, a collection of eight odes of love, a series of poems celebrating with honor the mother of God.Father David Smith shares with us his own personal meditations on Mary. If you have a longing to make the Theotokos a greater part of your life, these thoughtful contemplations will encourage and profit you immensely.